The use of mobile banking, investing, and cryptos define the freedom and new financial technology that is set to be a complete game changer in how financial services will be offered. Customers have already embraced this new form of banking. Today, the accessibility of financial services at the go is compulsory. It’s hard to find a successful company that doesn’t accept PayPal as one of its primary payment methods, for example – Amazon, eBay, World Market and many others have been using the service for years, and now as the focus slowly moves to cryptocurrencies, many startups are starting to adopt them as well. One of the most comprehensive studies carried out recently indicates that the financial industry is extensively using new applications, products, processes, and business models that are entirely based on technology. 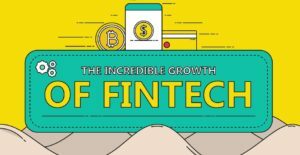 What are the results of the recent Fintechs? By allowing a third party tech company to be involved at the heart of the Fintech innovation, an organisation opens up its knowledge and expertise to the outside investors, capital, and resources, and often its intellectual property and assets. The openness not only creates transparency, but also aides the innovators to generate new ideas which will incorporate or change the organisational culture by attracting new skills and identifying areas that need to be improved. Traditionally, financial companies would partner with others in their industry to share different processes. Today, by using partnerships with tech organisations, they have reaped benefits regarding security and reliability, which is something that has helped the financial institutions to create new ways of generating more value through creating different outlooks. Now, more than ever, financial institutions are investing in startups to consistently develop innovations that keep up with the market trends. The future of Fintech cannot exist without blockchain. Soon, the need for an intermediary will entirely disappear. Transactions will no longer rely on arrogant and incompetent administrators. Asset transfer, money, vehicles, and even homes will be quickly and securely transferred from one person to the other. What’s more, by the time you snap your fingers, transactions will be settled that would otherwise take days or even a week. In the next five years, customers will no longer have to put up with the glacial pace and bureaucracy that is always present in the traditional financial services.